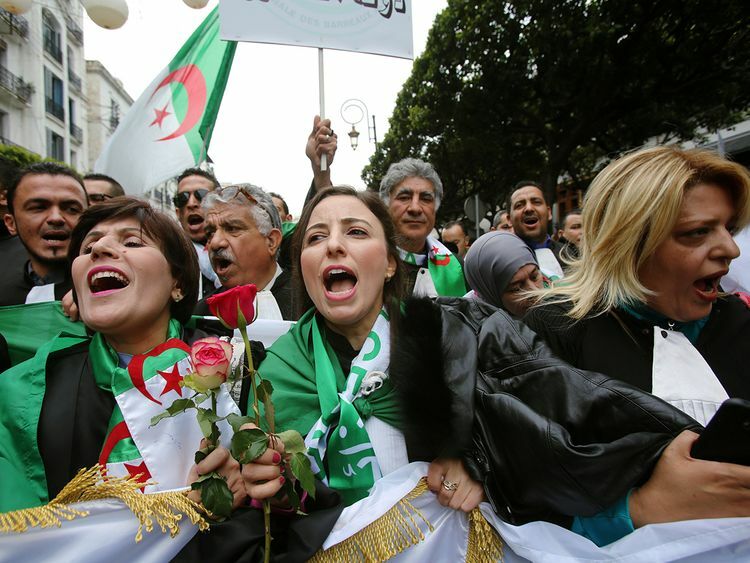 Algiers: Hundreds of thousands of Algerians rallied on Friday to demand the immediate resignation of President Abdul Aziz Bouteflika, who is fighting for his political survival in the face of unrelenting protests and the desertion of long-time allies. Protests that brought hundreds of thousands onto the streets in Algeria over the past month led President Bouteflika to scrap plans to run for a fifth term. The immediate cause was Bouteflika’s candidacy. Calls for protests spread after it was confirmed on February 10. Mass rallies began on February 22, and numbers rose over the following two Fridays. After Bouteflika abandoned plans to stand but stopped short of stepping down — raising the prospect that he would stay in power for the rest of the year — the protests swelled. Major Islamist groups were discredited by the 1990s war and along with a liberal opposition were co-opted or excluded when it ended. As the ruling National Liberation Front (FLN) reasserted itself, political apathy set in and election turnouts dropped. Bouteflika has rarely been seen in public since suffering a stroke in 2013, but by then he had already sidelined or outlived the generals who brought him to power. General Mohammad “Towfiq” Mediene, head of military intelligence and the man widely seen to be the real centre of power in Algeria, departed in 2015. Islamism is in decline, and a new leader may come from the political mainstream. Ahmad Benbitour, a former prime minister, and Mustapha Bouchachi, a rights activist and lawyer, are among those emerging as protest leaders. Algeria is Africa’s biggest country by land mass and has a population of more than 40 million. It is a major oil and gas producer and Opec member, and a top supplier of gas to Europe. Western states see Algeria as a counter-terrorism partner. It is a significant military player in North Africa and the Sahel, and diplomatically involved in crises in Mali and Libya.